Tue., 4 Jun. - Tue., 4 Jun. Sat., 6 Jul. - Fri., 19 Jul. Mon., 8 Jul. - Fri., 19 Jul. Thu., 4 Jul. - Sun., 21 Jul. 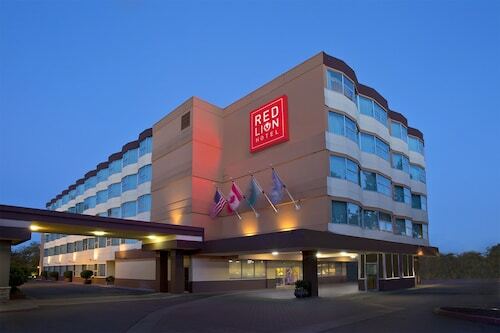 This airport hotel is 8 miles from Museum of Flight and within 17 miles of downtown Seattle, Pike Place Market, Seattle Aquarium, and Seattle Center with the adjacent Space Needle. 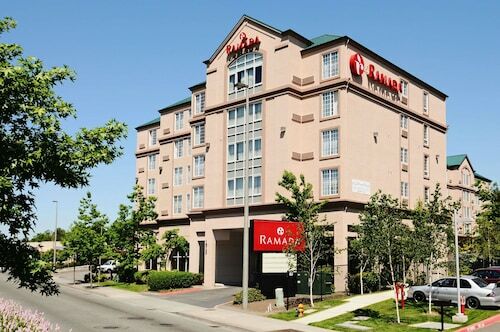 Situated near the airport, this hotel is 3 mi (4.9 km) from Westfield Southcenter Mall and within 16 mi (25 km) of Seattle Aquarium and Pike Place Market. Space Needle is 16 mi (25.8 km) away. SeaTac-Airport Station is only a 3-minute walk and Tukwila Station is 28 minutes. 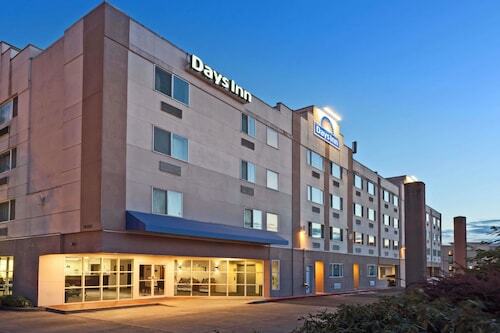 Located on 6 acres directly across from SeaTac Airport, this 4-story hotel with conference center is within 13 miles of downtown Seattle and attractions such as Pike Place Market, Seattle Aquarium, and the Space Needle. Question : How long is the flight from LAX to SEA? Answer : Alaska Airlines can take you there in two hours and 35 minutes. So, if you were to leave Los Angeles at 1:20 PM PDT, you would get to Seattle at 3:55 PM PDT. Just enough time to catch up on your television shows before you touch down. Question : Which airline has the least delays from Los Angeles to Seattle? Answer : Booking with Delta Air Lines means you will arrive to Seattle around the time you were supposed to. In fact, this airline has an 80% on-time average. Question : How many flights are there per day from Los Angeles to Seattle? Answer : Each day is different, but on average, you can expect to see 68 available departure times. You’ll have more choices on this route than most others departing the United States. Answer : You sure can and you may save money by changing it. The lowest-cost day to fly in May is Tuesday. Being flexible with your travel days can provide you extra savings when booking. Question : How long does it take to fly from Los Angeles to Seattle? Answer : Definitely the faster option to get to Seattle when compared to driving. Flying from LAX to SEA typically takes about two hours and 53 minutes. Question : What is the cheapest airline flying from Los Angeles to Seattle? Answer : Ticket costs are hitting as high as $723 over the next three months when flying to SEA from LAX. Check out Delta Air Lines, as they have bookings at just $175. Question : How much is a plane ticket to Seattle (SEA) from Los Angeles (LAX)? Answer : They vary from $175 to $723. Booking far in advance can normally help you get the cheapest rate. However, usually the sooner you book, the better the price.